With IMS2016 upon us and the author teaching springtime classes, it might be educational, controversial, and somewhat humorous to clarify some misunderstandings encountered in the RF/microwave business. Some of these questions have been asked repeatedly over the years, while others are quite isolated. This article attempts to address terminology and physical entities that sometimes are ignored, misinterpreted, or have skewed meaning. Some items may be topics the reader has been reticent to ask about. In a Diplexer signals are offset in frequency by a small percentage. An example is 0.5 to 1% of the operating frequency. A common antenna is connected to a matched power splitter followed by high Q, bandpass filters, one or more on the transmit frequency and the other(s) on the receive frequency. The cross-over point typically requires about 80 dB of rejection. The desired signals must be in the bandpass of their respective filters. Diplexers are primarily used in communications. A Duplexer is a three-port network that allows a transmitter and receiver in a radar or communications system to use the same antenna. The duplexer can be a circulator in low power applications, or a gas-discharge T/R tube for megawatt radars. (A T/R tube breaks down and conducts in presence of high power). 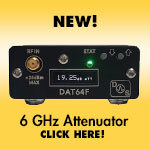 Ham radio operators and even the ARRL Handbook describe the device that allows the high power transmitter and sensitive receiver in a repeater to use the same antenna in lieu of separate antennas separated by at least 100 feet as a duplexer. This is probably better described as a diplexer. Many are curious about the origin of the 50 ohm and 75 ohm characteristic impedance lines. The arithmetic mean between 30 ohms (best peak power handling) Figure 1, and 77 ohms (lowest loss) is 53.5 ohms, the geometric mean is 48 ohms. 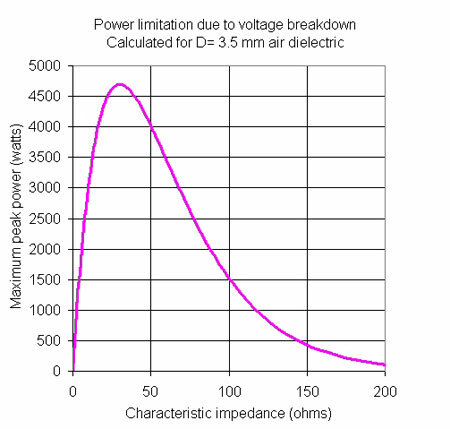 Thus the choice of 50 ohms is a compromise between power handling capability and signal loss per unit length, for air dielectric. Also, only a few dielectric materials are suitable for making coax with 30 ohm impedance. 50 ohm cables, along with associated connectors, was set early in the development of microwave techniques. It is sort of like choosing 60 Hz as a standard for alternating current frequency (in the United States). Figure 1 • Peak Power Handling vs. Characteristic Impedance. (Courtesy Microwaves101, IEEE). 75 ohms is generally used for video cables and digital applications. For square wave signals, minimal capacitance is highly desirable. Ideal impedance to meet this criteria would be 93 ohms, so 75 is closer than 50. As use of higher frequencies becomes affordable and necessary because of available bandwidth, many systems are now in the Ku, K, and Ka bands. See Figure 2. Apparently many folks are unaware that u stands for under and a stands for above. If you would rather refer to these with the newer Electronic Warfare band designations it would essentially be just J and K bands. The lower frequency J band (10 to 20 GHz) does dip into about half of X band which precedes Ku, however. This K band goes from 20 to 40 GHz. Confused? Figure 3. Note: Silicon and Germanium Semiconductor Materials in the IVA Columns. Also several IIIA-VA Materials that can be used to Make Compound Microwave Semiconductors. 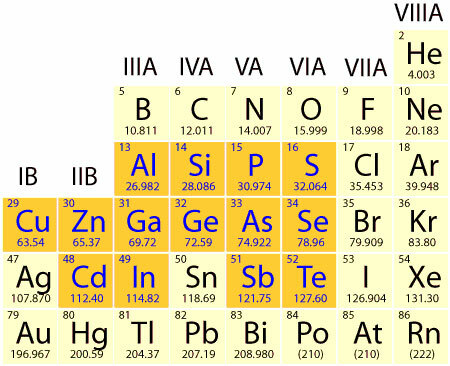 III-V Direct Band Gap Examples are: GaAs, GaN, and InP Groups III and V are also Referred to as 13 and 15 in the Modern Group Periodic Table. If a metal object should never be placed in a microwave oven, how can the walls and door be metal—and why? A conventional microwave oven consists of a magnetron and its power supply producing microwaves in the industrial, scientific, medical (ISM) band centered at 2450 MHz. Operation at that frequency, which is not optimum for heating many items, equates to a wavelength of 12.2 centimeters. Usually a short waveguide directs the energy to a six sided “cavity” where the food or liquid is placed for heating. That cavity is most often stainless steel or occasionally ceramic enamel. It is, in effect a Faraday Cage. The point is that it is a cavity that is reasonably resonant at S band, equivalent to a high Q parallel inductor and capacitor in parallel at low frequencies. The door has an embedded mesh and gasket designed to shield the operator from potentially harmful microwave energy. If the cavity contains a rotating plate whose purpose is to help in distributing the energy evenly, it is non-conductive glass. Thus there are no sharp or protruding metal objects within the enclosure. Figure 2 • Traditional Microwave Band Designations. If there is no way to move the object to be heated, or to “stir” the “load” or waves generated, there would be hot spots every one-half wavelength (about 6 cm), causing very uneven heating. Demonstrations have been conducted with cheese or similar homogeneous food (maybe pasta?) used to illustrate standing waves using a microwave oven. The introduction of metal objects into this near field environment can cause dangerous arcing and actually start a fire, with even semi-flammable material present. It also could cause a very disruptive VSWR to the magnetron and may destroy it. Dr. Ed Niehenke is the IEEE MTT-S Ombuds Officer. In the May 2016 issue of IEEE Microwave magazine he states that in many books and articles, insertion loss and/or return loss are labeled as a negative number on the figures, where they are positive values. He goes on to state that one MTT-S member pointed out to the Standards and Technology Electronic Components Industry Association that their definition of return loss in their standards is incorrect and adds that a minus sign needs to be included in the equation. Edward goes on to say that this change has been tentatively approved and once finalized, will be included in the Microwaves101 website (which IEEE MTT-S now oversees). I asked Ed for clarification and an example and he sent me to the Wikipedia definition of Return Loss. This did not fully satisfy me and I will attempt to have more dialog shortly. I believe that for passive devices, in particular, return loss should always be expressed without a minus sign. We don’t always catch this in articles submitted to HFE. This subject remains controversial because some test procedures and even detailed specifications do refer to greater than, or less than a negative return loss value. For further contemplation, I refer the reader to: http://www.microwaves101.com/encyclopedias/loss-or-gain. Silicon, which is a group IV chemical element occurring naturally, is the most commonly used semiconductor material as it forms the basis for transistors and integrated circuit (IC) chips. Silicon is the 14th element on the periodic table (See Figure 3) and is called a metalloid, having properties of both metals and nonmetals. Next to oxygen, it’s the second most abundant element. Silicon is used in indirect band gap material. Silicone is a synthetic polymer consisting primarily of silicon, oxygen, carbon and hydrogen. It is mostly produced in the form of a liquid, or flexible plastic having high resistance to moderate heat and low toxicity. It is used in a number of medical, cooking, sealing, lubricating, and personal care items. The confusion may come where silicone is also used as electrical insulation and with electronics, and sometimes used to make enclosures to shield sensitive devices from electrical discharges and static shock. So there can be silicon within silicone, but these are in no way interchangeable. This subject could go for many pages. Just be aware that like many electrical terms, some directly describe the entity (e.g. IMPATT Diode, PIN Diode, FET, Rat-Race, SAW, BAW, Log-Periodic Antenna), while others are named after people (e.g. Schottky, Wilkinson Power Divider, Lange Coupler, Gunn Diode, Yagi Antenna). There is a third category, particularly peculiar to newer company names. Just a few examples: Triquint (describing devices from III-V columns) upon merging with RFMD became Qorvo. Cree Power and RF producing SiC and GaN devices became Wolfspeed. The microwave test equipment part of Hewlett-Packard Company (William and David) became Agilent, which became Keysight. Actually upon investigation it appears that Keysight is a portmanteau of key and insight to convey that the company “unlocks” critical or key insights. The branding or meaning of some new names may not particularly describe anything but may have a catchy sound that can easily be remembered. With the days of the Yellow Pages waning, the desire to name a company “Ajax” or “AAA” may be history. Conversely, there are a number of companies that have made extensive acquisitions or otherwise expanded their product base into things like microwave subassemblies who still identify themselves in name as, for example, a semiconductor company. Finally, if you are new to this game and have a pending interview, you might look up terms, like the following, in advance. PIN diode (not point contact probing germanium). Decibels are relative, dB absolute. TWT is not a twit. GaAs is not Gas. ERP (pronounced “burp” without the b), FPGA, massive MIMO, and many others. When I interviewed for my first microwave job, one of the verbal questions was: “Explain viswaar.” As a radio amateur (ham), I had been working with standing wave ratio (SWR) since age 14. In a my college course called Microwave Techniques I was introduced to Voltage Standing Wave Ratio (VSWR), reflection coefficient, return loss and even used a slotted line. I had fairly deep knowledge of the subject, but was completely befuddled by “viswaar” (from a brilliant Harvard man with a Maine accent). It’s a miracle I was hired! There may be a lesson here. Don’t assume everyone knows the jargon and abbreviations you have learned and if you don’t understand something, ask for clarification.This becomes exponentially more complicated when dealing with military projects. Tom Perkins graduated from Monmouth University in 1966 with a BSEE. He did graduate study at Northeastern University. He has served as HFE’s Senior Technical Editor since 2011 and is currently teaching a microwave course along with consulting for a leading nanotechnology company. Other pending work includes development of metalized antenna arrays for additive 3D printing. 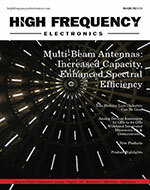 He spent close to 45 years at various companies developing radar and EW microwave modules, PIN diode control devices, radar altimeters, expendable decoys, broadband MMIC amplifiers, flight-line microwave test sets, tactical deception equipment, microwave tag devices, space qualified hardware, GaN high power amplifiers, and unique microwave packaging including LTCC. 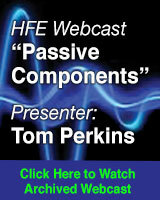 Tom holds six patents, mostly involving microwave modules and antennas. He is a Senior Life Member of IEEE and is currently Chair of the NH Chapter MTT-S. Licensed since 1957, he holds an Amateur Extra ham radio license, AC1J.